The Mill originally spun cotton but it has now been converted to spin wool, so of course I bought some from their shop! All the money they make from the tea rooms and gift shop go back into maintaining the Mill. I am very disciplined when it comes to knitting and only have one project on the go at a time, unlike quilting when I have multiple projects! It seems easier to put down a quilting project and pick it back up again than with knitting I don't know why. Unlike quilting which I like to do year round, I find myself with the urge to knit as soon as the temperatures drop in the Autumn. I don't need such good lighting for knitting as I do for sewing, so it's the perfect hobby for winter evenings. You may remember the Guernsey Jumper I completed back in November 2017? It is knitted in special Icelandic Lopi wool which is lovely to knit with and very reasonably priced, I found a source here in the UK which was obviously cheaper than buying the Craftsy Kit. The class was really good, but definitely not for beginners:) I learned a lot and the nice thing about Craftsy classes is that you can go at your own speed and watch the videos as often as you like. Just as well as I have only just finished! I am really happy with it, it is warm and fits really well. I found some beautiful Celtic style button in my favourite shop (Liberty) which I think really work well. 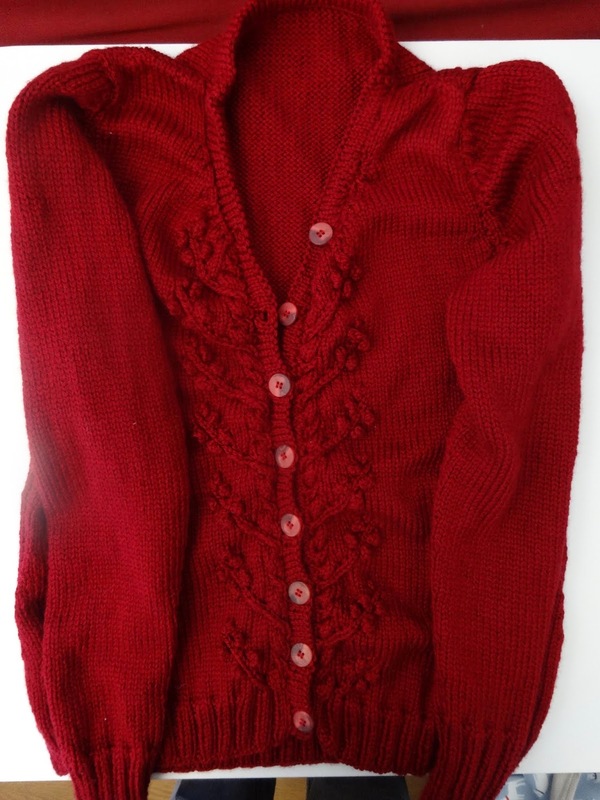 While looking through my yarn for something else to knit, I came across this cardigan in pieces. I abandoned it years ago as I did not know how to sew it up properly! I decided to take another class in finishing techniques and it is finally done! 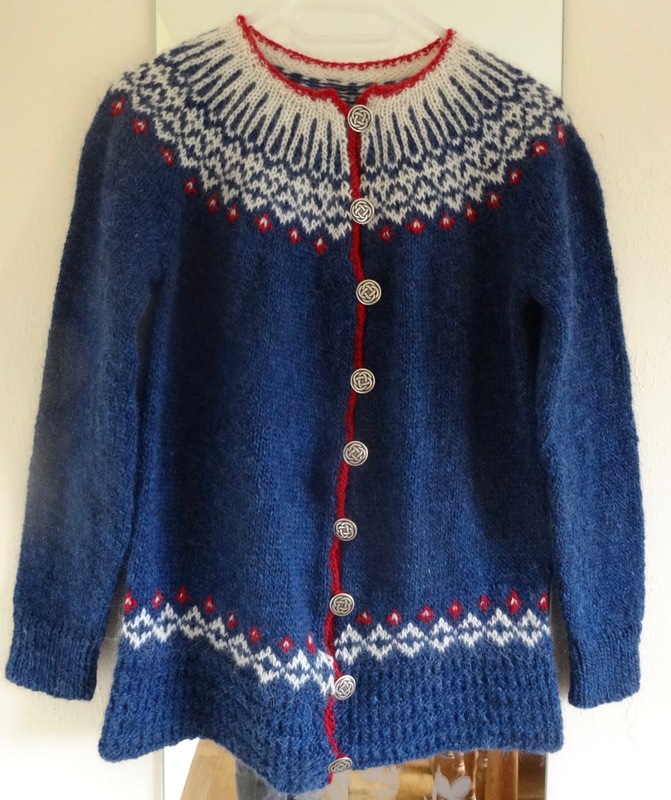 It looks an odd shape in this photo but it does fit well :) Pattern is 'It's the Berries' by Carol Sunday. I still feel like knitting at the moment so I have started 'Tenaya' by Elizabeth Doherty, Ravelry link: https://www.ravelry.com/projects/suller/tenaya It has a lovely combination of lace and cables. "The fibre in your batch is from the 2013 clip of Sue’s very own Gotland flock, based near St. Austell in Cornwall. 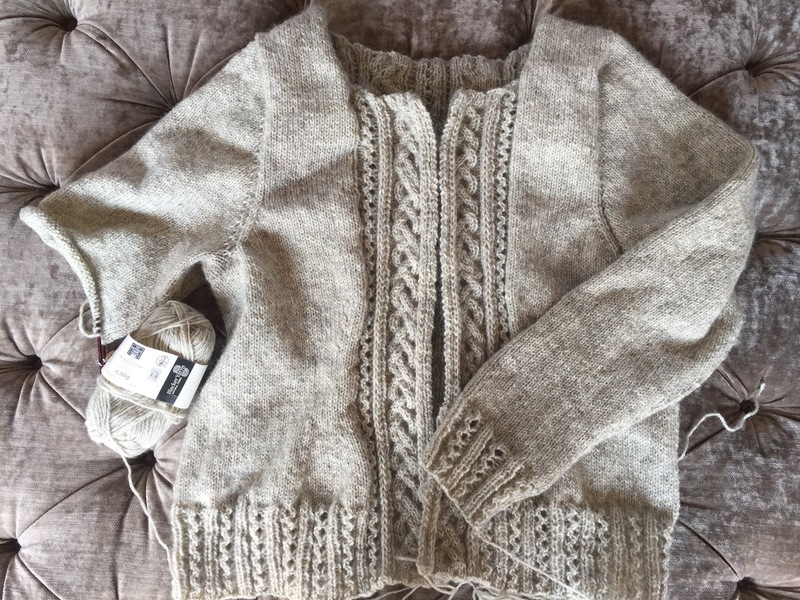 It was spun on our mill near Launceston – like all our yarns." 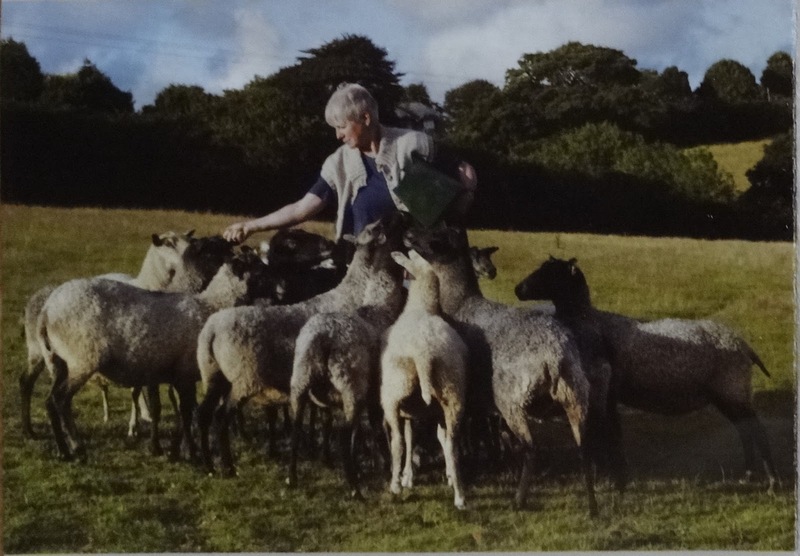 My yarn came from these sheep! 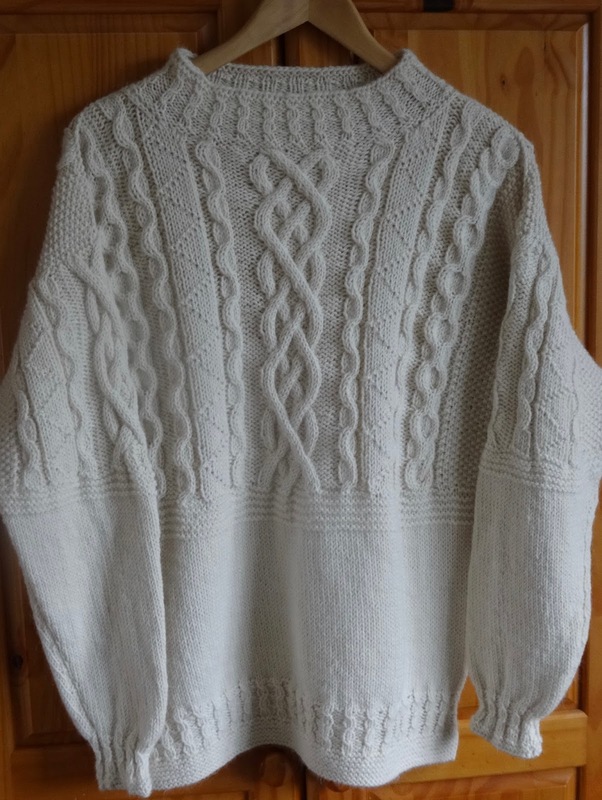 I bought it in October 2015, so it's about time I knitted it up! 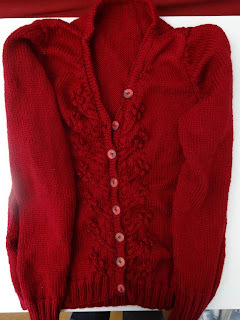 The cardigan is knitted top down in one piece so you can very cleverly try it on as you go, I don't know how long this will take, but I am enjoying the process, and the combination of the natural lanolin from the wool, and wooden needles have been wonderful for my arthritic hands this winter.